We first met producer Kenny Segal while filming our video feature on the Southern California producer collective Team Supreme. While the story of the crew centers on collaboration, it was inspiring to see how this spirit also permeates each individual member’s way of working. For Segal, this means getting together with friends to make the music that becomes the basic material for his tracks. As is apparent in the video below, instead of sifting through pre-made sample libraries, Kenny’s sessions – part hang, part jam – are not only a lot of fun but provide him and his friends with a pool of unique sample material for further chopping, tweaking and refining. The track Kenny and friends are making in the video above – appropriately titled “Afternoon Hangs” – is available as a free downloadable Live Set. 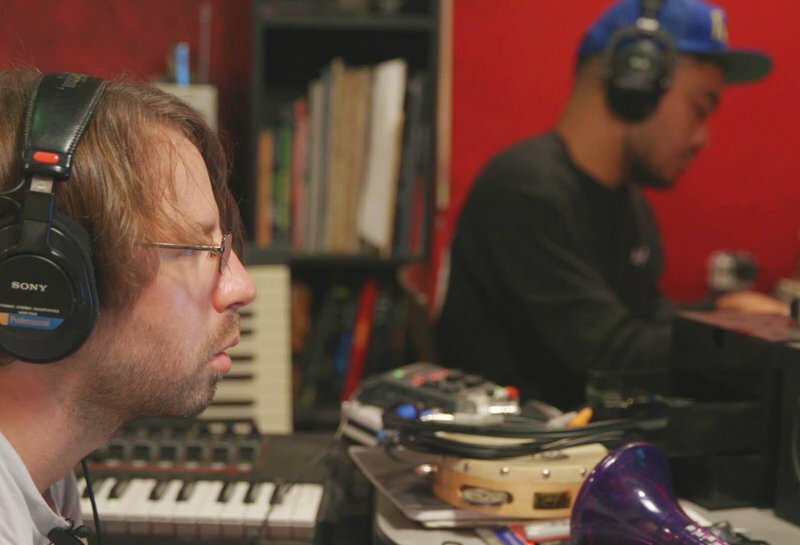 The Set includes all the raw audio recordings made with Mr. Carmack, ELOS, and Busdriver as well as Segal’s final arrangement of the track, allowing you to explore for yourself how the track came together. One thing you’ll notice is how Kenny builds the beat by putting each part of the drums on its own track in Live’s Arrangement view – this provides a quick and easy way to introduce subtle variations by muting, reversing and pitching individual elements of the drums without losing the overall groove. Another of Segal’s techniques is what he calls “sampling the spaces between the notes”. As he explains in the video below, (part of the One Thing series), this can be a simple and effective way to add some grit and atmosphere to tracks. Kenny is also generously giving away several instruments he made using this technique. Download them for free below and use them as inspiration to make your own new textures from familiar sources.